Already an accomplished songwriter, Shannon Moore is finally stepping out and putting her talents to use for herself. She had a publishing deal with Sony Music, worked with the songwriting team of Billy Steinberg and Tom Kelly, and has written songs for a Canadian TV series. Now, you can hear her songs as she wrote them, with her voice and all the emotions in tack. 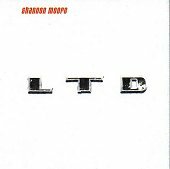 "LTD" gives you a taste of Shannon Moore's rock side. The guitars are soft, but still have a bite to them, and the same goes for the steady rhythm section. "Everything Turns Around" shows her softer side, trading in the electric guitar of "LTD" for an acoustic guitar. With the acoustic guitar and her voice leading the way, Shannon finds herself in a lot more intimate setting. Her voice packs an emotional pull, while the guitars (another guitar is added as the song progresses) slide around with both beauty and grace. Then there is "Eat My Cake," which gently strolls through the night sky with laid-back verses that soon get loud when the rock comes crashing down for the chorus. Shannon Moore has an undeniable talent. She can write delicate songs, she can write laid-back ones, or she can throw all caution to the wind and rock out with controlled force. And, this album is a testament to that fact. Not one song sounds like the previous one, and each one offers something different for your enjoyment. I'll give the album a B.